China’s Escalating Unrestricted Warfare Against the U.S.
China’s Unrestricted Warfare Against the U.S.
SECDEF Gates plans for a new Cyber Command. The Pentagon is planning to create a new military command to focus on cyberspace and protect its computer networks from cyber attacks, U.S. officials said Wednesday. The move comes as the White House is poised to release a broader study on the nation’s cyber security. Officials in recent months have increasingly warned that the nation’s networks are at risk and repeatedly are being probed by foreign governments, criminals or other groups. The Pentagon has been reviewing for at least a year just how it needs to reorganize military efforts on cyber issues, one official said on condition of anonymity because he was not authorized to speak on the record. Another official said that under the new plan, being finalized now, a sub-command could be set up under the U.S. Strategic Command. Located at Offutt Air Force Base just south of Omaha, Neb., the command oversees space issues and is responsible for protecting and monitoring the military’s information grid, as well as coordinating any offensive cyber warfare on behalf of the country. Defense Department networks are probed repeatedly every day and the number of intrusion attempts have more than doubled recently, officials have said. Military leaders said earlier this month that the Pentagon spent more than $100 million in the last six months responding to and repairing damage from cyber attacks and other computer network problems. In the Pentagon’s budget request submitted last week, Defense Secretary Robert Gates said the Pentagon will increase the number of cyberexperts it can train each year from 80 to 250 by 2011. It’s the right move. It may result in draconian new rules and regulations on IT practices and data fidelity and security, but the defense contractors should remember that their own sloppy IT practices in part led to this. It’s about time we fully engaged China in their Unrestricted Warfare against the U.S. Many details couldn’t be learned, including the specific identity of the attackers, and the scope of the damage to the U.S. defense program, either in financial or security terms. In addition, while the spies were able to download sizable amounts of data related to the jet-fighter, they weren’t able to access the most sensitive material, which is stored on computers not connected to the Internet. Former U.S. officials say the attacks appear to have originated in China. However it can be extremely difficult to determine the true origin because it is easy to mask identities online. A Pentagon report issued last month said that the Chinese military has made “steady progress” in developing online-warfare techniques. China hopes its computer skills can help it compensate for an underdeveloped military, the report said. The U.S. has no single government or military office responsible for cyber security. The Obama administration is likely to soon propose creating a senior White House computer-security post to coordinate policy and a new military command that would take the lead in protecting key computer networks from intrusions, according to senior officials. The Bush administration planned to spend about $17 billion over several years on a new online-security initiative and the Obama administration has indicated it could expand on that. Spending on this scale would represent a potential windfall for government agencies and private contractors at a time of falling budgets. While specialists broadly agree that the threat is growing, there is debate about how much to spend in defending against attacks. 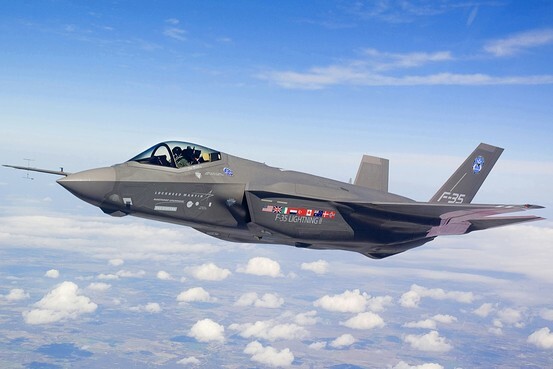 The Joint Strike Fighter, also known as the F-35 Lightning II, is the costliest and most technically challenging weapons program the Pentagon has ever attempted. The plane, led by Lockheed Martin Corp., relies on 7.5 million lines of computer code, which the Government Accountability Office said is more than triple the amount used in the current top Air Force fighter. Six current and former officials familiar with the matter confirmed that the fighter program had been repeatedly broken into. The Air Force has launched an investigation. Pentagon officials declined to comment directly on the Joint Strike Fighter compromises. Pentagon systems “are probed daily,” said Air Force Lt. Col. Eric Butterbaugh, a Pentagon spokesman. “We aggressively monitor our networks for intrusions and have appropriate procedures to address these threats.” U.S. counterintelligence chief Joel Brenner, speaking earlier this month to a business audience in Austin, Texas, warned that fighter-jet programs have been compromised. Foreign allies are helping develop the aircraft, which opens up other avenues of attack for spies online. At least one breach appears to have occurred in Turkey and another country that is a U.S. ally, according to people familiar with the matter. Joint Strike Fighter test aircraft are already flying, and money to build the jet is included in the Pentagon’s budget for this year and next. 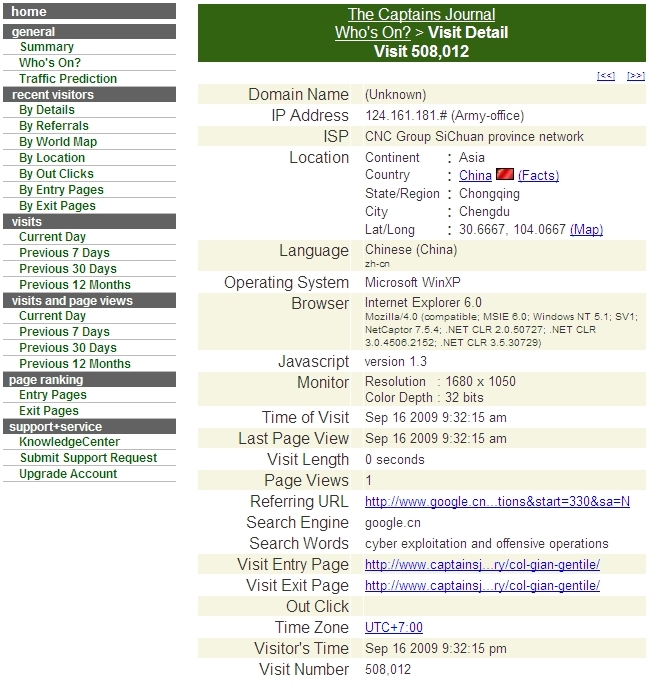 Computer systems involved with the program appear to have been infiltrated at least as far back as 2007, according to people familiar with the matter. Evidence of penetrations continued to be discovered at least into 2008. The intruders appear to have been interested in data about the design of the plane, its performance statistics and its electronic systems, former officials said. The intruders entered through vulnerabilities in the networks of two or three contractors helping to build the high-tech fighter jet, according to people who have been briefed on the matter. Lockheed Martin is the lead contractor on the program, and Northrop Grumman Corp. and BAE Systems PLC also play major roles in its development. Lockheed Martin and BAE declined to comment. Northrop referred questions to Lockheed. Cyberspies have penetrated the U.S. electrical grid and left behind software programs that could be used to disrupt the system, according to current and former national-security officials. Shame on Northrop Grumman and Lockheed for their lack of control over their IT systems, and the Pentagon response is lousy as well. Sure the Pentagon systems are probed daily. That’s not the point. China is currently in unrestricted warfare against the U.S.. and this aggresive pattern requires a robust response. How long will we continue to make technology available to China, either through system vulnerabilities or intentional commercial technology transfer? We have previously noted how the Chinese hackers and cyberspies are not merely snooping; they are engaged in what China considers to be Unrestricted Warfare against the U.S. Now comes an even more disturbing account of the extent of their activities. The Chinese cyber spies have penetrated so deep into the US system — ranging from its secure defence network, banking system, electricity grid to putting spy chips into its defence planes — that it can cause serious damage to the US any time, a top US official on counter-intelligence has said. “Chinese penetrations of unclassified DoD networks have also been widely reported. Those are more sophisticated, though hardly state of the art,” said National Counterintelligence Executive, Joel Brenner, at the Austin University Texas last week, according to a transcript made available on Wednesday. Referring to the Chinese networks penetrating the cyber grids, he said: “Do I worry about those grids, and about air traffic control systems, water supply systems, and so on? You bet I do. America’s networks are being mapped. There has also been experience of both Chinese and criminal network operations in the networks of some of the banks”. Note the malicious intent – counterfeit routers and chips found in U.S. military aircraft. No longer restricted to just water supply systems, electrical grids and banking networks, as if that isn’t enough, we are now finding intentional electronic attacks against U.S. military hardware. There is a Sino-American war going on, even if America is not yet engaged.